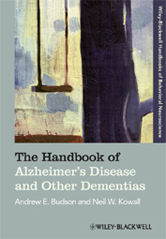 Editor/Author Budson andrew E. and Kowall, Neil W.
The reference is a broad-ranging review of Alzheimer's disease and other dementias from both basic and clinical neuroscience perspectives; it provides scientists and medical professionals with an extensive introduction and an up-to-date review of cutting-edge scientific advances. Brings the reader up-to-date with cutting-edge developments in this exciting and fast-paced field. Summarizes the most recent developments in the fields of Alzheimer's disease and dementia. Brings together articles from a prominent and international group of contributors. Encompasses a unique range of topics, combining basic molecular perspectives and cognitive neurosciences.